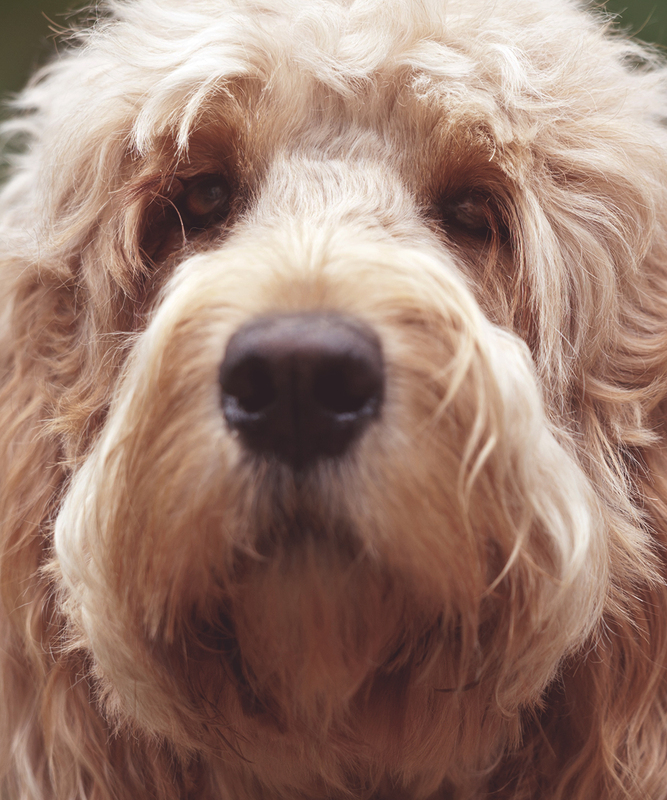 Every time you give your dog a Milk-Bone dog snack, you're sharing more than just a healthy, tasty treat. You're sharing the care. 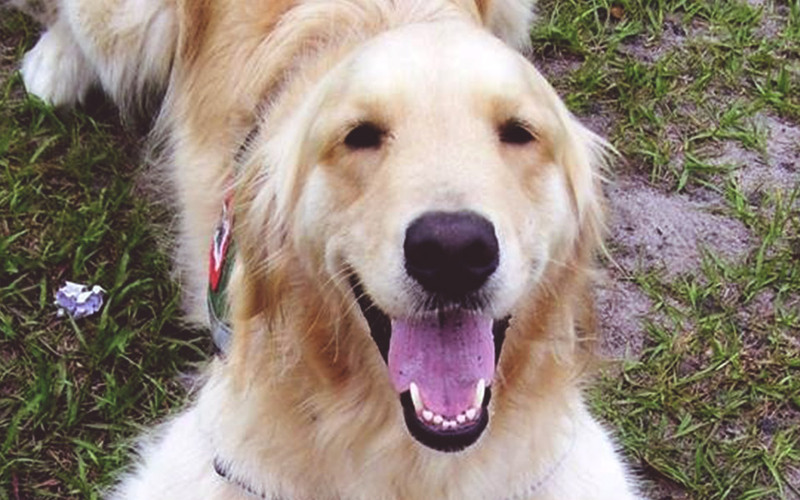 Learn how these amazing dogs have touched millions of lives. 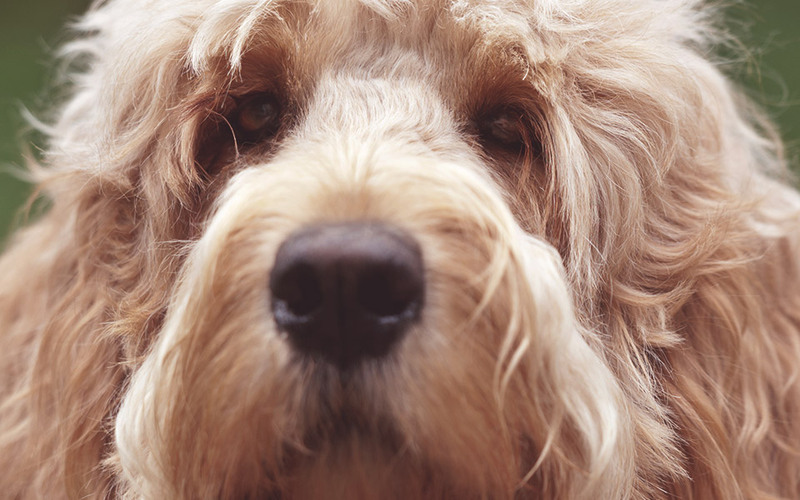 Giving your dog a Milk-Bone® dog snack is a way of saying "thank you" for all the snuggles, tail wags, and happiness you receive on a daily basis. But more than that, these delicious, healthy treats also help strengthen the bond you share, so you can both enjoy a longer, happier life together. Now, you can share the power of that bond with others. 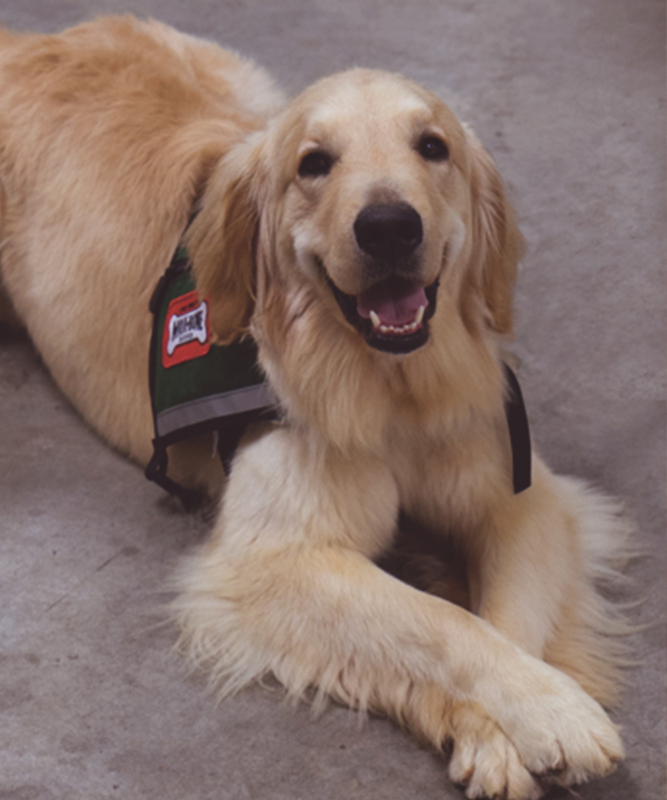 That's because a portion of the proceeds from Milk-Bone® dog snack purchases help Canine Assistants raise, place, and care for service and seizure response dogs. 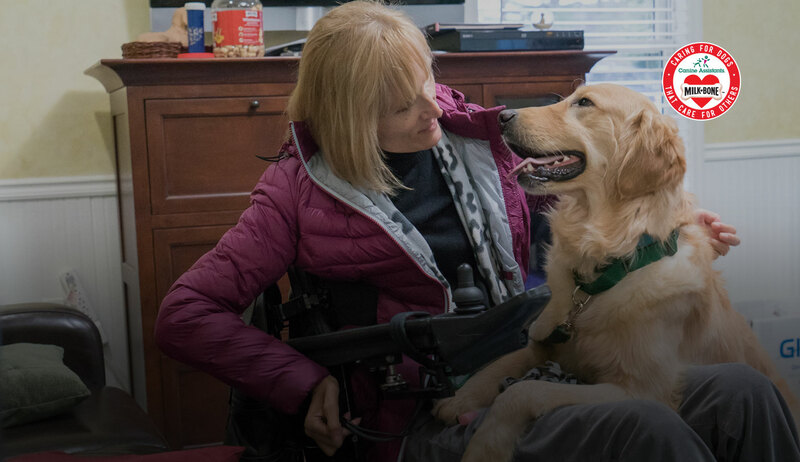 Since partnering with Milk-Bone® in 1997, Canine Assistants dogs have touched the lives of over 20 million* people in hospitals, homes, and schools. And with your help, we can reach even more. 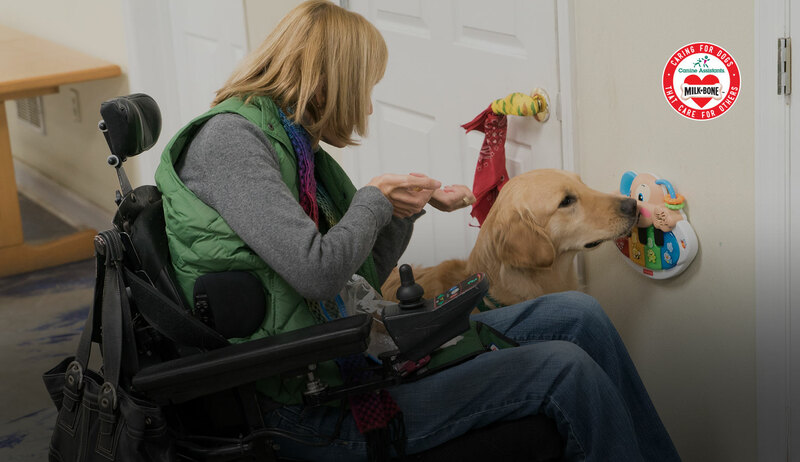 Show your dog how much you care by giving your dog the treat he loves. 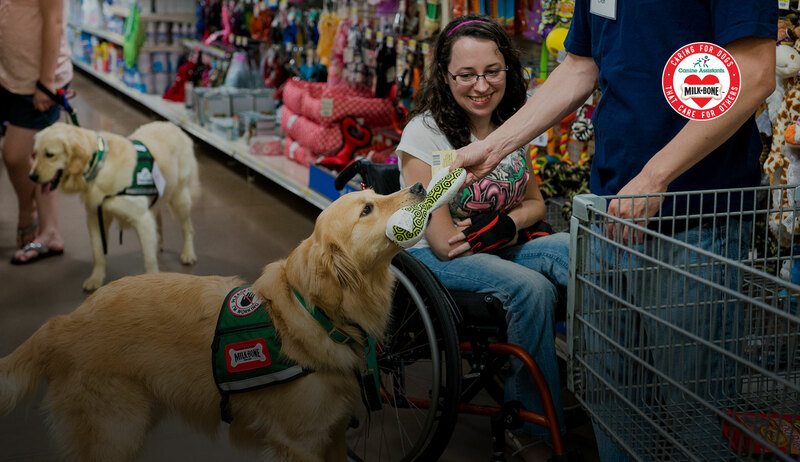 Then share that caring by helping Canine Assistants place these amazing dogs with people who need them. 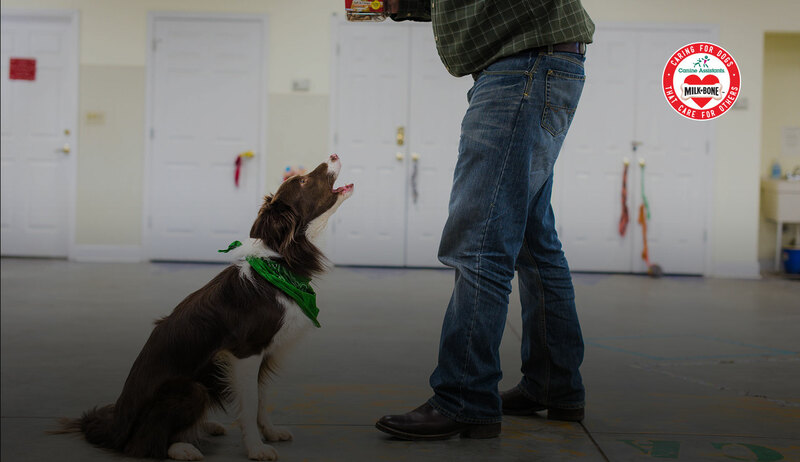 Give your dog a Milk-Bone® dog snack which helps make possible a $250,000** donation to Canine Assistants. *Based on an average dog recipient's schedule. 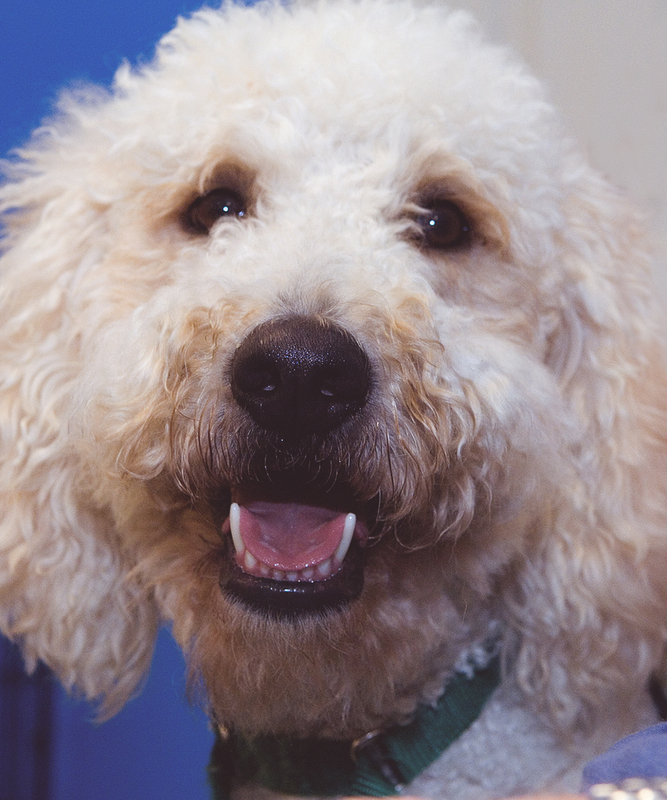 **Milk-Bone® brand will donate $250,000 to Canine Assistants. 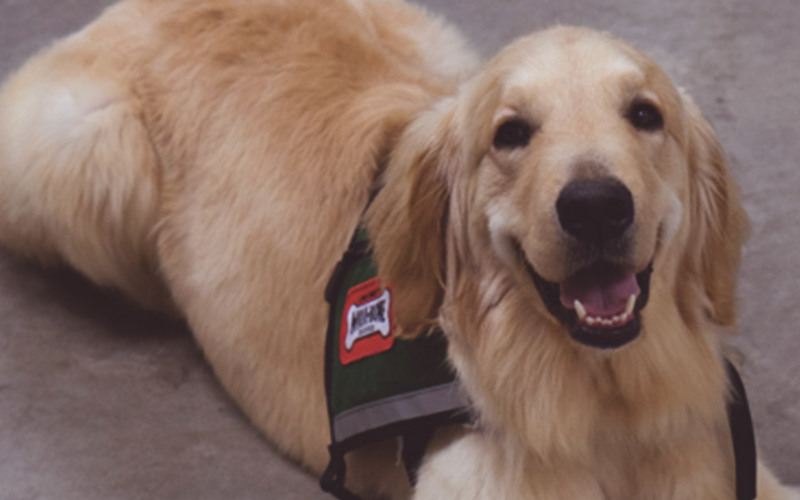 Milk-Bone® brand will donate $250,000 to Canine Assistants, so keep sharing the care with your dogs and make our donations possible. 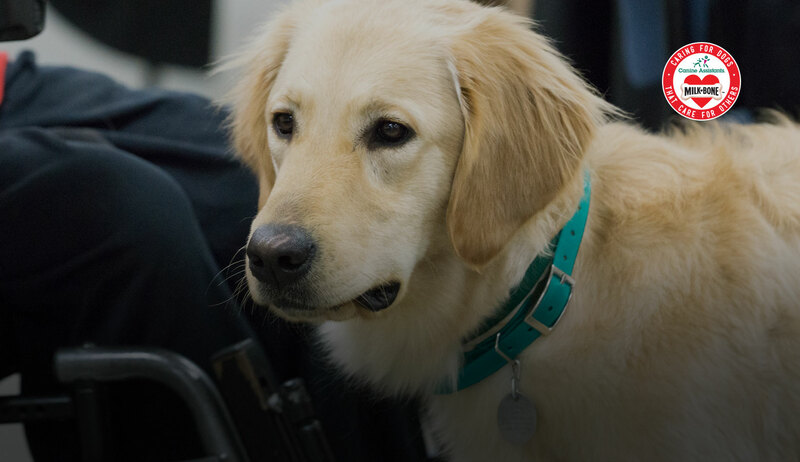 Canine Assistants® is a non-profit organization that trains and provides service dogs to children and adults with physical disabilities and special needs. 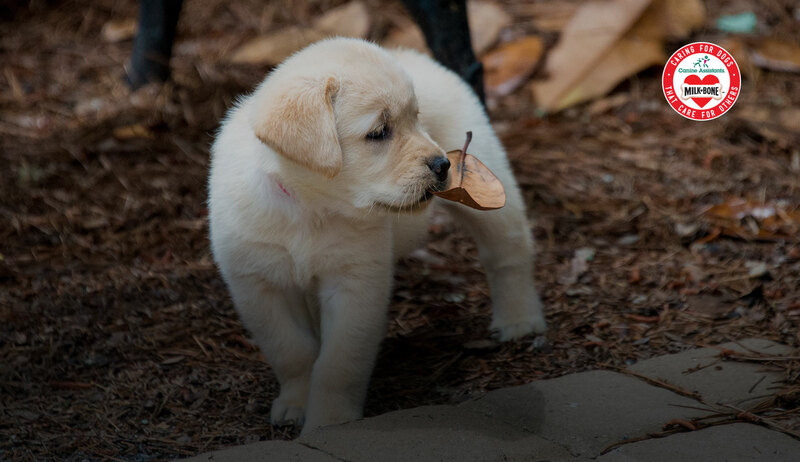 Like people, puppies need to learn exactly how their bodies work. Focusing on physical development - including gross and fine motor skills and fitness - is an important part of helping your little one grow up to be strong and healthy. 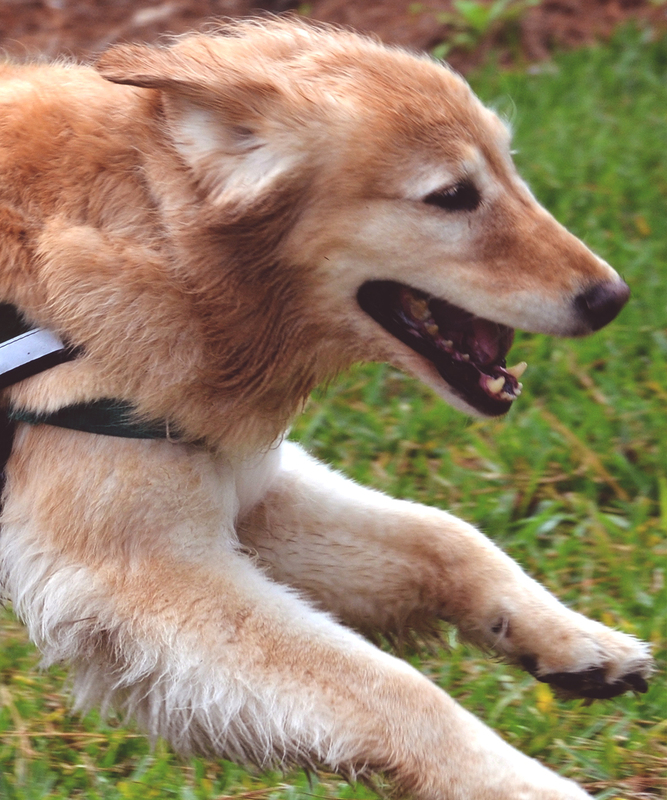 Adult dogs of all ages also need ample opportunities to stretch and exercise their bodies. 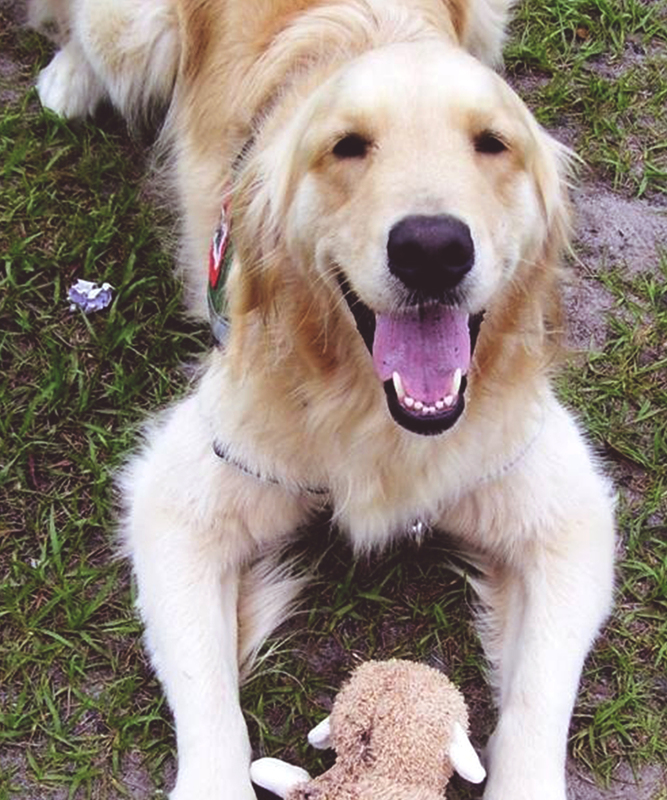 You may find yourself benefiting too as you treat your dog with kindness through daily exercise. 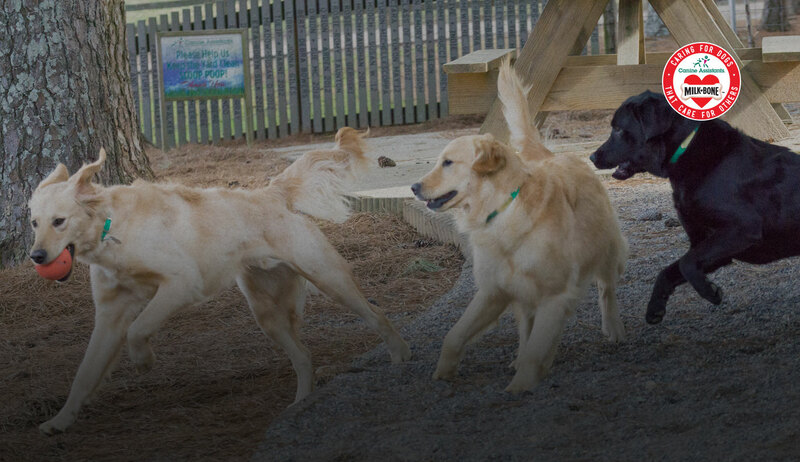 Every dog needs to socialize with all types of people and other dogs, especially in early puppyhood. 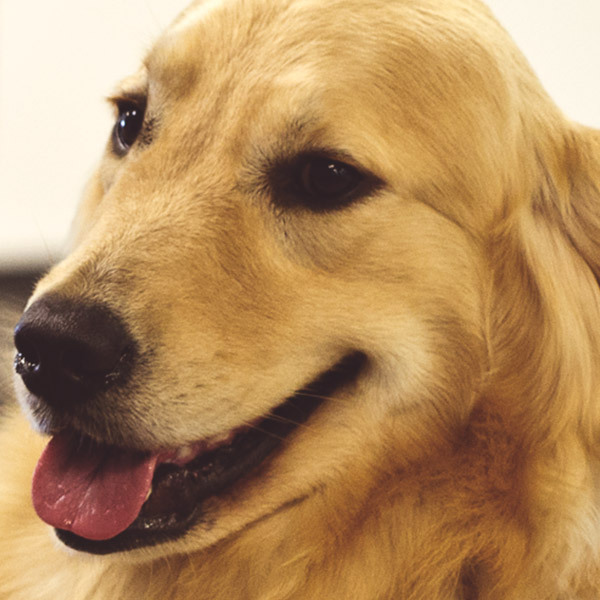 Set up meetings for your dog with a variety of friendly but unfamiliar humans and canines. 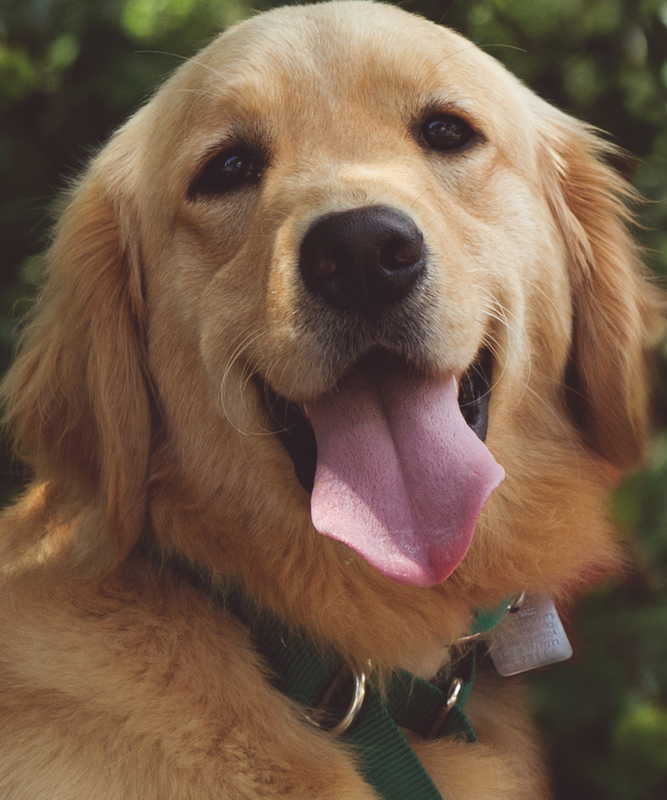 Take time every day to connect with your dog as part of your overall commitment to treat your dog with kindness. Your perspective determines your response to things that happen. When you leave and your dog gets angry with you, you come home to find your toilet paper in tiny pieces all over the house. 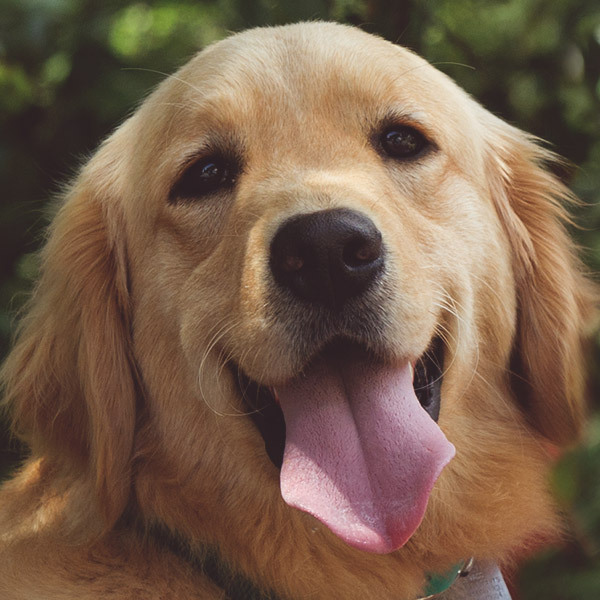 But maybe you would be more understanding if you knew that a dog who does “naughty” things while you’re away, such as shredding paper or chewing shoes, is likely looking for ways to cope with the fact that they miss you so much. All living creatures need a sense of control in order to feel safe. You can give your dog this feeling of safety by encouraging them to make good choices rather than demanding mindless obedience. When you treat your dog with kindness and allow them to make good decisions life is better for you both! A dog that knows the name of three toys can understand that the new word they hear must apply to the fourth toy in the pile. What does this mean? 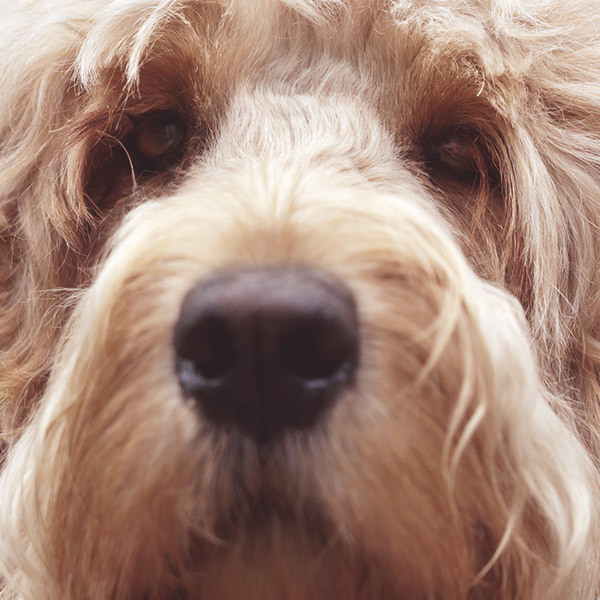 Treat your dog with kindness and develop their cognitive prowess using games and exercises designed for mental stimulation. Dogs who are securely attached use their humans as a secure base from which to explore the world and a safe haven in times of need. They also seek to stay close to their humans and miss them when they are gone. 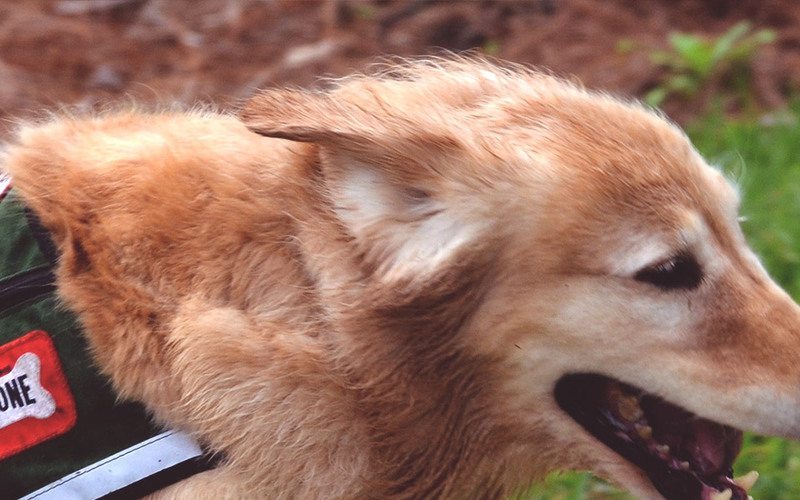 Facilitating a secure attachment ensures that you can treat your dog with kindness. 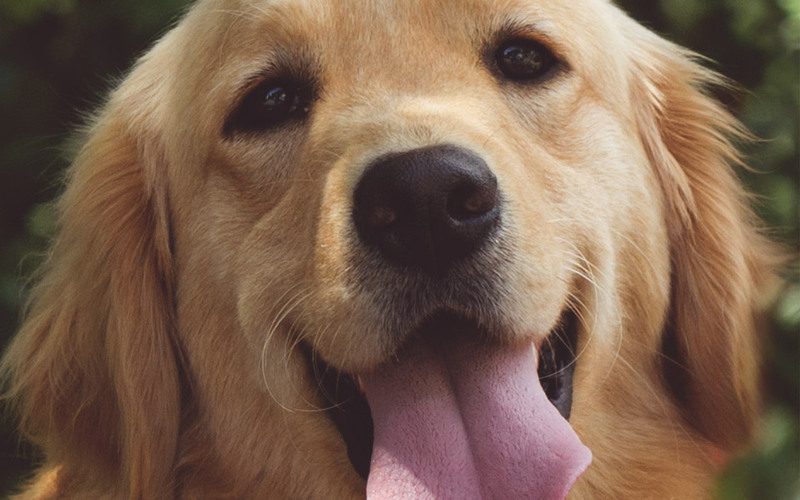 Good behavior is a by-product of a strong connection between you and your dog. You can strengthen that bond by showing your dog that fear and force will have no place in your relationship. Treat your dog with kindness and you will develop a bond beyond measure. 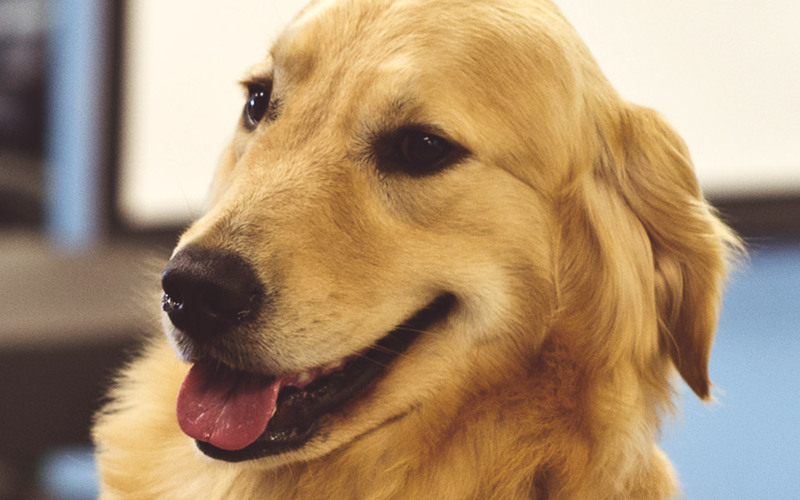 Dog lovers know that dogs can learn to understand human vocal patterns and body language quite well. It seems only fair that we try to return the favor. We can easily do this by paying attention to our dogs. 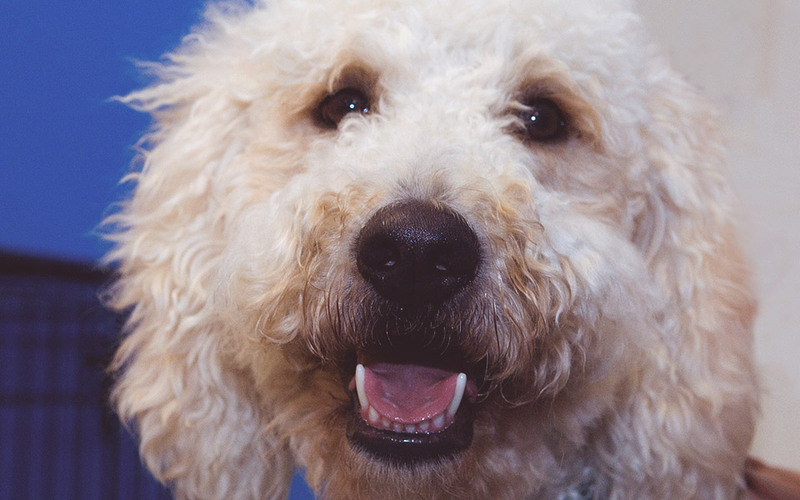 Listen carefully for changes in your dog’s barks to learn the difference between their tone when asking for an urgent bathroom break, or announcing the arrival of company. 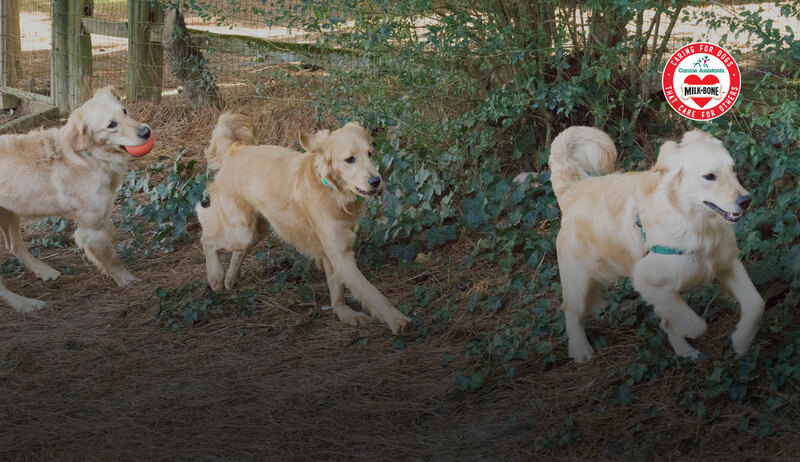 Playing fetch, hide-n-seek, or tug-of-war is important to all relationships. 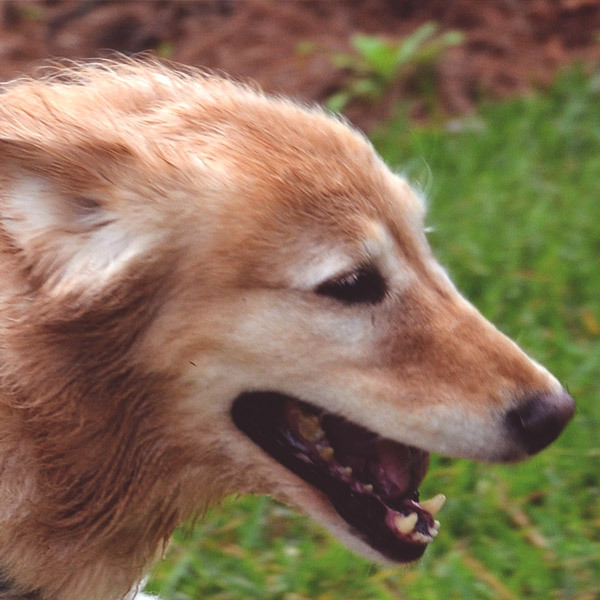 In the past, many trainers mandated that people must win the tug-of-war game in order to keep their dogs from feeling they’ve achieved an upper hand in the relationship. However, recent studies have shown that dogs who play tug-of-war, win or lose, are more responsive to their handler than those who do not. 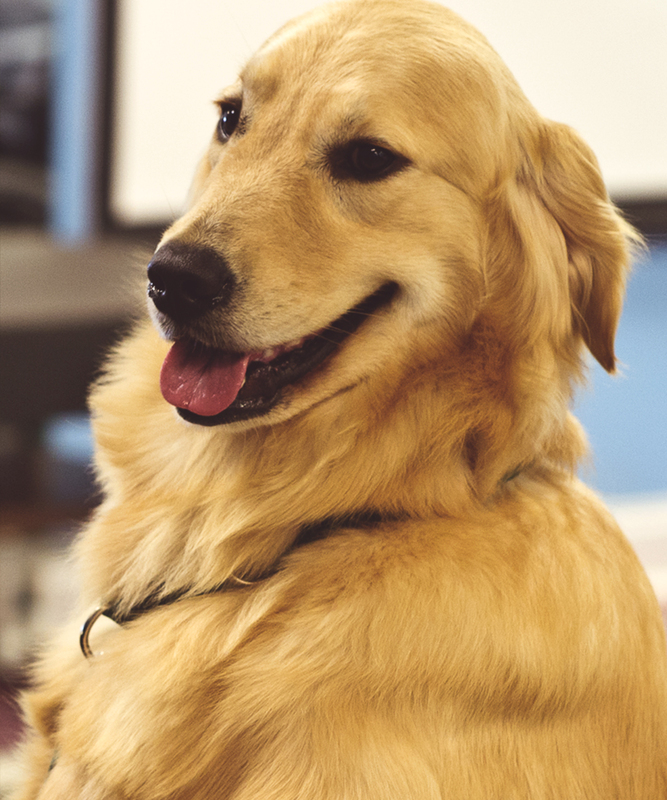 At Canine Assistants&reg;, we use the phrase teaching our dogs rather than training our dogs for several reasons. 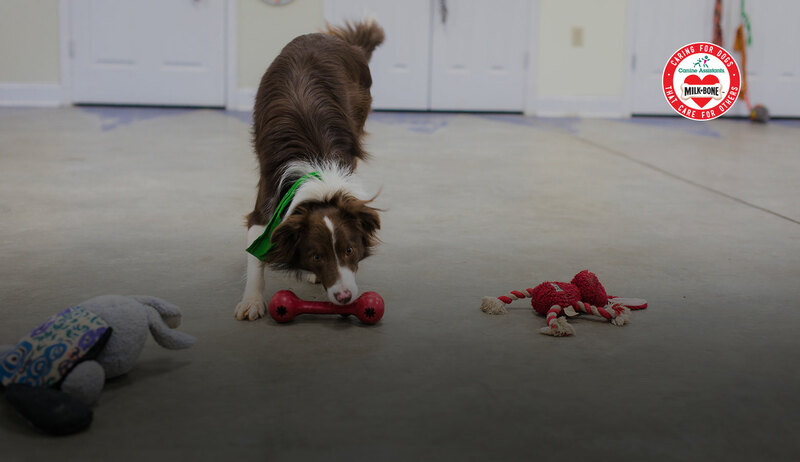 Dogs merely trained to robotically respond when cued or commanded to perform a specific behavior requires constant management, while teaching a dog to make good decisions allows the dog to be largely self-managed. Jamber has been Jack's bestie for eight years. 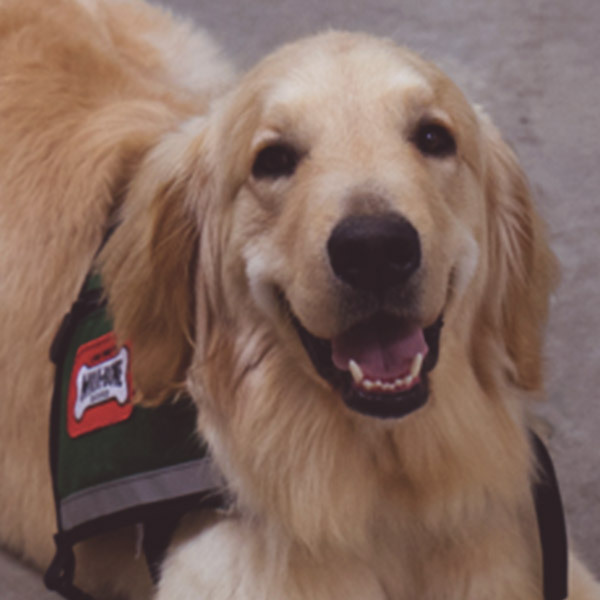 Fender's partner has seen a decrease in seizures since they became a team, and when he does have a seizure, Fender is there to help. 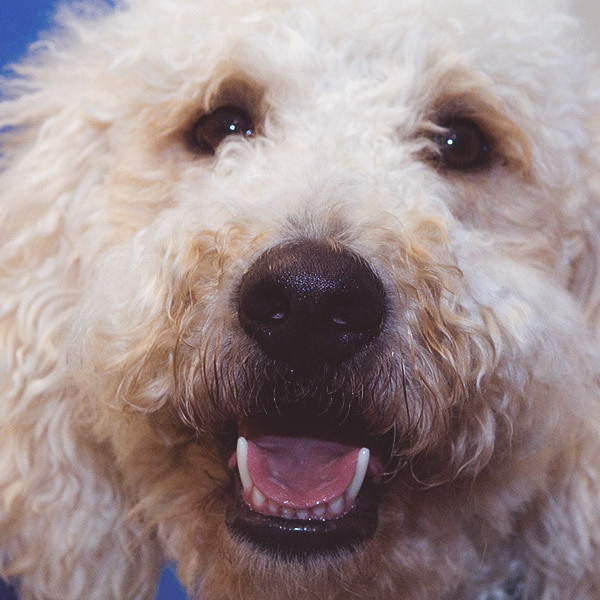 Georgie has given thousands of cuddles to critical patients at the University of Cincinnati Medical Center. 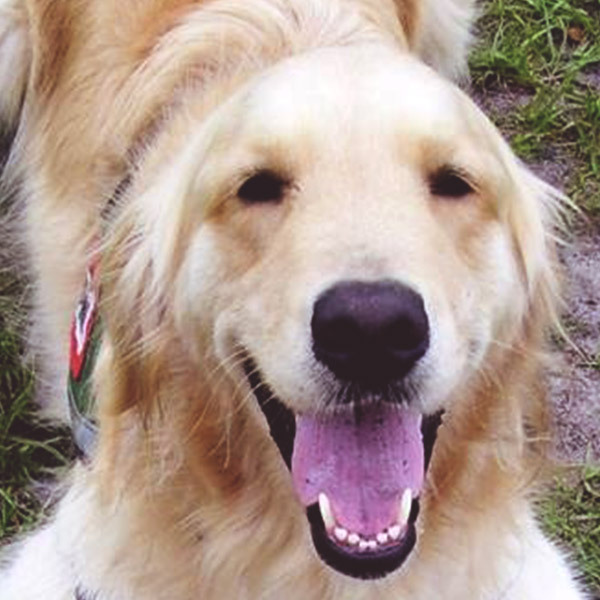 Jabiru’s kindness helped his parent overcome a life-threatening hospital emergency. 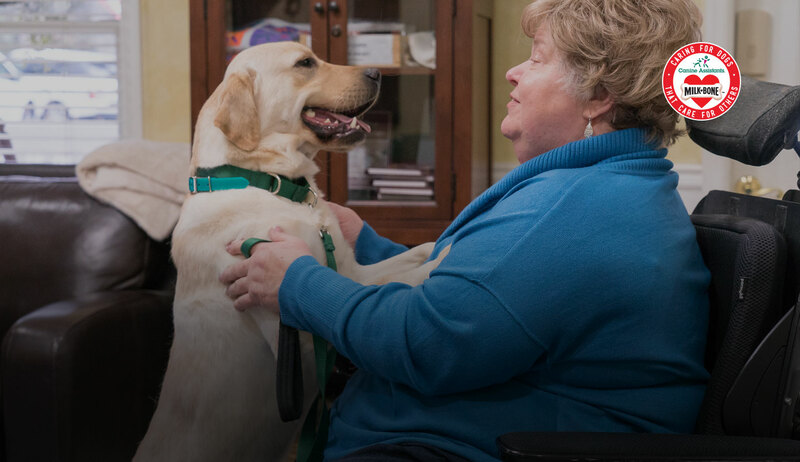 Mary Lou helped her pet parent become more confident in connecting and communicating with her community.